The best carpet cleaner in the world, a bold claim we spotted, made at a time when advertising standards weren’t quite as robust. All the same that’s the claim Chivers Carpet Soap made way back in the early 20th Century. Chivers was back in the day a highly regarded cleaning product manufacturer, the business started in Bath in 1880 by Fredrick Chivers. In 1912 the company was incorporated naming Mrs. H. M. Chivers and Herbert Chivers as directors. The company sold an array of products including Carpet and Cloth Soaps, Motor Soap, Plate Powder, Floor Polish and Furniture Polish. Highly regarded for their effectiveness they even became the suppliers to the Royal household. 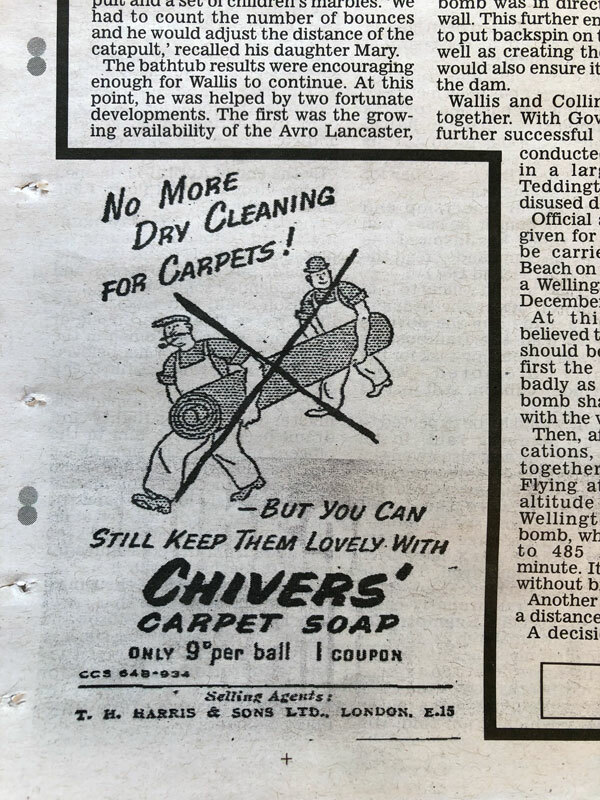 These two advertisements we found show not only the bold claim of best carpet cleaner in the world but also Chivers attempts to combat the competition from ‘dry cleaners’, the two guys featured in the cartoon look more like rug thieves rather than carpet dry cleaning operatives 🙂 . 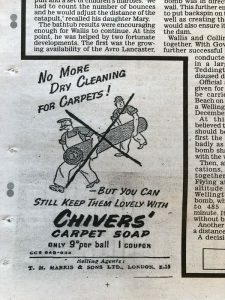 I wonder what Chivers would make of the state of the art machinery and cleaning solutions used by the modern carpet and upholstery cleaning companies. It all just goes to show carpet cleaning has been an important part of households for centuries and will be so for many years to come.